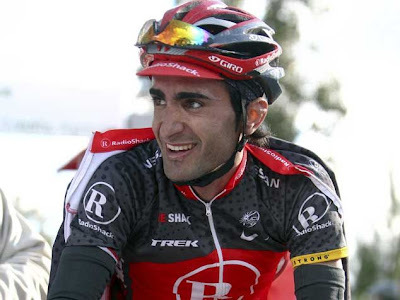 The 2012 Volta ao Algarve sees several high-profile names looking to gets some solid early season form under their belts, whether they are eyeing up the spring Classics or the Grand Tours later in the season. 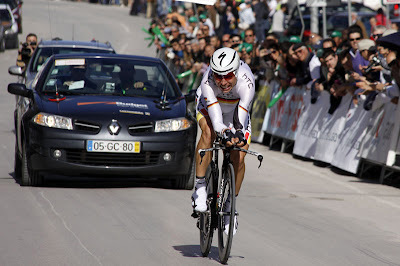 The defending champion, Tony Martin, returns again this year, and is a strong favourite to defend his title. He won this race by 32 seconds last year ahead of his teammate, Tejay van Garderen, with Lieuwe Westra pipping the big names of Alberto Contador and Andreas Kloden to the final spot on the podium. The two crucial stages will be the finish atop the Malhão in Stage 3, and the final stage time-trial on day 5. The climbers will be looking to put enough time into Martin on the Malhão to try and give themselves an opportunity to limit their losses sufficiently in the time trial. However, last year proved that Martin is capable of sticking with the climbers on this climb at this stage of the season, when he finished in the lead group alongside the likes of Contador, van Garderen and Taaramae. One potential outsider could be Radioshack’s Tiago Machado. The Portuguese rider finished third in the time trial last year, 26 seconds behind Martin, and he is an aggressive rider on the climbs. This can often backfire when he looks to attack in breaks or on his own, but if he can get away up the Malhão, he could give himself the opportunity to clinch the overall victory. One major loss for Tony Martin this year is the support of Tejay van Garderen. 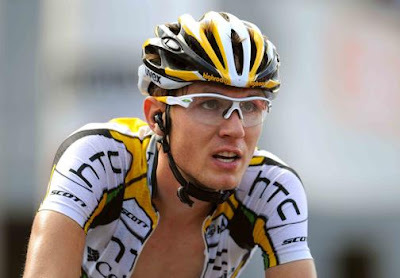 After the break-up of HTC-Highroad, Martin moved to Omega Pharma-Quickstep, while van Garderen joined BMC. It remains to be seen whether Martin’s teammates can help him on this occasion. Team Sky have brought a strong team to this race this year. Bradley Wiggins will lead the team, but has strong support in the shape of Chris Froome, Edvald Boassen Hagen and Thomas Lovkvist. Although it is early in the season, Wiggins will be looking for a solid performance here to get his season off to a good start. However, given the profile of the climbs and the stage of the season, it would be little surprise to see Boassen Hagen finishing as the highest ranked member of the team. Martin’s former teammate and last year’s runner-up, Tejay van Garderen, returns again this year as the likely leader of the BMC team. With strong support from the Brit, Stephen Cummings, he will be a real threat this year. However, if his form is not quite there, Cummings is more than capable of taking over, having won atop the Malhão last season. Among the other names who might find themselves in the pack is Jurgen van den Broeck, hoping to begin strongly after a year interrupted by a serious injury in the Tour de France. Andreas Kloden, Carlos Barredo and Luis Leon Sanchez will also be hoping to feature, while Rui Costa and Sergio Paulinho joins Machado as the local hopes. However, it is very difficult to see beyond Tony Martin. Any challenger is likely to have to put at least 30 seconds or more into him on the Malhão to have a chance, but last year demonstrated that this is much easier said than done.